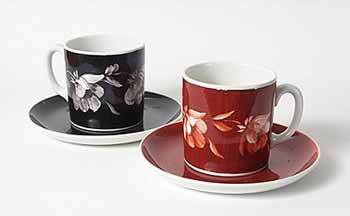 Cups and saucers - 3" (76 mm) high. Marked M.K. Gt Hwd. - not Madeline Keeler.